Data is from a September 2014 Ipsos Reid survey commissioned by the Canadian Internet Registration Authority (CIRA). 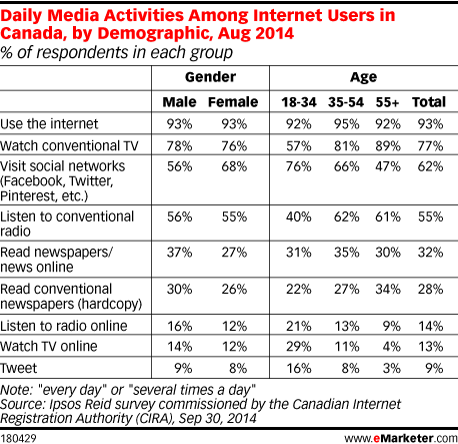 1,000 internet users ages 18+ in Canada were surveyed online via the Ipsos I-Say panel during August 19-22, 2014. Weighting was employed to ensure the composition of the adult population according to Census data.